CBT therapy is different to many other forms of therapy in terms that it is short term and one of the only therapies that we can monitor and is statistically proven to work in the treatment of many conditions. It is structured around the principle that it isn’t so much what happens to us in our life that causes the distress but rather how we think about what has happened that drives our emotional experience. CBT is a structured, interactive therapy which utilises explorative questions and a range of different exercises and behavioural experiments. I use this formula to help you understand problems from a new perspective and develop more effective strategies for addressing your concerns successfully. CBT is "problem focused" (undertaken for specific problems such as anger) and "action oriented" .I assist my clients in selecting specific strategies to help address these problems and find solutions. This is why CBT therapy is so powerful, as many times clients are unaware and confused as to why they think and and act in the way that they do? CBT helps to bring clarity in times of confusion and uncertainty. CBT Therapy is the therapy of choice within the health service. It is evidence based and delivers fast and lasting change. Together we work towards resolving your issues in a safe and expert environment; making you happier at home, professionally and in your social life. I have also adapted CBT to work with children and young people and this has proved exceptionally popular and effective. 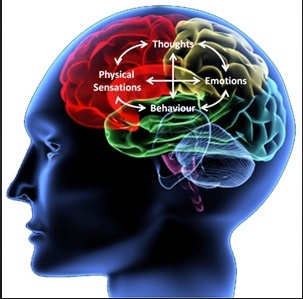 I have trained extensively in CBT and use an integrative approach with CBT at its core. Using this approach allows me to adapt the therapy to the exact needs of the individual and bring about fast and lasting change. I provide clients with the tools to feel confident that they can manage and overcome difficulties. Session handouts are provided to help clients build their own ‘tool kit’ to use whenever needed. I have also trained at the Anna Freud Centre in London specialising in Trauma Focused CBT (TF-CBT). If you have had enough of feeling held back by anxiety, depression, confidence etc. If you feel ready to change things so you can create the life you really want.My integrated therapy and CBT can help you. Why wait? Contact me today.